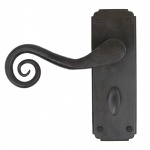 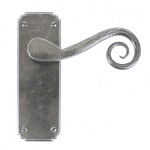 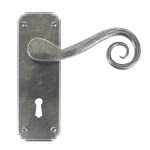 The monkeytail lever handles starts life as a thin piece of mild steel. 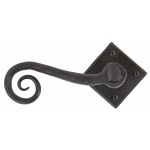 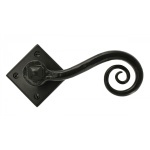 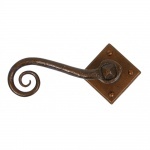 Our blacksmiths delicately hammer to create the curly monkeytail shape. 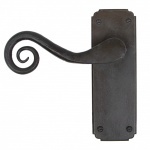 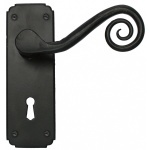 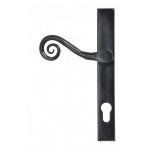 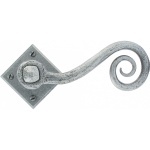 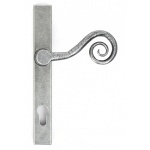 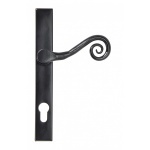 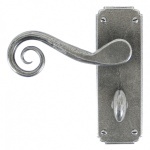 We also offer a large range of monkeytail window furniture.